#MinorityMentalHealth includes promoting mental health wellness and awareness in the LGBTQ+ community. Last month, several NAMI affiliates hosted local Pride events, in which they focused on the unique needs and challenges facing LGBTQ+ folks affected by mental illness. In celebration of LGBTQ+ Pride Month, NAMI Ventura County, under the leadership of Executive Director David Deutsch, partnered with Diversity Collective Ventura County to host a Pride event titled “Prism of Thought.” The event included a DJ, an art show featuring two local LGBTQ+ artists, Glen Heppner and Aspen Leavitt, poetry readings by Kaiden Wilde and Alejandra Nicole, and several featured speakers. Organizations with representatives attending the event included: Rainbow Umbrella, The Ventura County Office of Education, and Kaiser Permanente. The event kicked off with a networking hour that allowed attendees time to get to know one another and view the beautiful art on display. The event then transitioned to several speakers who spoke on the intersection of mental health and LGBTQ+ issues. Though the speakers spoke in English, Ventura County Behavioral Health provided Spanish and American Sign Language (ASL) interpreters to ensure all attendees could receive each speaker’s message. Joseph Summers, Director of the Diversity Collective Ventura County, welcomed everyone to the event and to the Diversity Collective Ventura County. David Deutsch then talked about the work NAMI Ventura County does and how they seek to improve the mental health of LGBTQ+ folks. Assemblymember Jacqui Irwin then talked about legislation she is working on in partnership with Assemblymember Evan Low to fight to ban conversion therapy. Catherine Chivers, Community Engagement Coordinator for NAMI California, discussed NAMI CA’s advocacy efforts to improve care and access to care for LGBTQ+ people at the state level. Maria Hernandez, Ethnic Services Manager for Ventura County Behavioral Health (VCBH), discussed efforts to improve the mental health for LGBTQ+ folks at the county level. Laura Lawson Pascua, Founder and Director of Holding Our Pride and Equality (HOPE), discussed the queer-affirming therapy and support HOPE provides to LGBTQ+ folks. In the wake of two celebrity suicides, Jennifer Bailey-Guerra, a Mental Health Clinician at HOPE, discussed several ways in which we can support those who are struggling in our communities to help prevent suicide. Joseph Summers then thanked everyone for attending the event and for committing to improving the mental health of all people, especially marginalized communities such as LGBTQ+ folks. On June 8, 2018, NAMI Mt. San Jacinto, under the leadership of Executive Director Brenda Scott, hosted the City of Hemet’s first ever Pride celebration. The event was held at the Historic Hemet Theatre and kicked off with meet and greet, which included resource tables showcasing local LGBTQ-affirming organizations. Brian Tisdale, Legislative Assistant, presented a Proclamation on behalf of Supervisor Chuck Washington’s office that announced that June is Pride month. The event continued with several video clips followed by youth performances. There were several spoken word performances by youth telling their journey as LGBTQ+. Several youths then performed song and dance acts. The performances were followed by a panel of LGBTQ+ individuals and allies. The panelists discussed their personal experiences including coming out, fighting discrimination, finding support systems, and their visions for a more inclusive future. Overall, the event was a huge success and will hopefully be followed by Hemet’s second Pride celebration in June of 2019. 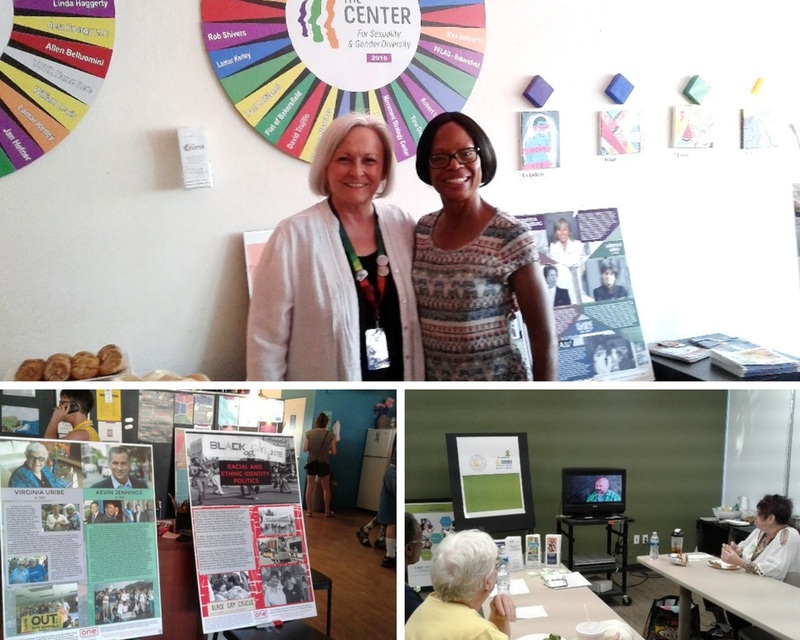 In Celebration of LGBTQ+ Pride Month, NAMI Kern County, under the leadership of Executive Director Sharon Woolfolk, held two events: Pride Month Kickoff and Pride Week Meet & Greet. NAMI Kern County partnered with The Center for Sexuality & Gender Diversity and Kern Behavioral & Health Recovery Services, Consumer Family Learning Center, to put on these events. The events included team building activities, music, and an educational component discussing the history of the LGBTQ+ movement. As well, NAMI Kern County facilitated a Mental Health 101 Presentation tailored to the LGBTQ+ community. The events were a huge success and there was an even larger turnout than NAMI Kern County’s Pride event last year!